For over 50 years Smalley has been committed to quality and customer satisfaction. In accordance with the requirements of ISO 9001, IATF 16949, AS9100, ISO 13485, and ISO 14001, we have established and are continuously improving upon our quality management systems. 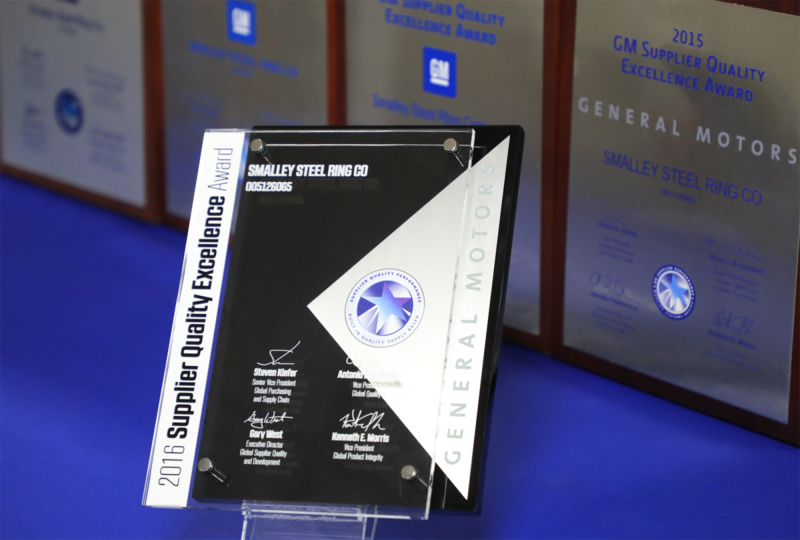 Smalley's history of quality and strict compliance with military and aerospace standards has earned Smalley an approved supplier status with many leading OEM manufacturers worldwide. We are dedicated to providing superior products with exceptional value. Smalley takes pride in providing the highest level of quality at every stage of the ordering and manufacturing process, from design to delivery. If you should have any requests, comments, compliments or complaints, we want to know. Please contact us by submitting an online Quality Request. UL DQS Inc. conducts periodic audits of Smalley's manufacturing process. 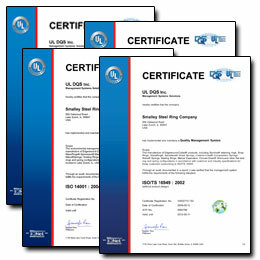 Reflecting Smalley's ongoing commitment to quality, copies of the latest quality certificates are available for download below. Smalley’s standard catalog parts are manufactured using raw materials and rust preventatives that are in compliance with the RoHS and REACH directives, when supplied without any additional plating/coatings. If RoHS and/or REACH compliance certification is required for a specific part number(s), please feel free to submit your request using our online Quality Request. We would be pleased to provide custom RoHS and/or REACH certifications for a nominal charge. Should compliance to the DFARS 252.225-7014 and/or DFARS 252.225-7009 clauses be required, please specify these requirement(s) on your RFQ or Purchase Order and Smalley will work to utilize materials that can be procured from qualified sources. Material Certifications are available for a nominal charge. Smalley's Quality Control Department has the capabilities to test and inspect parts right on the manufacturing floor, preventing manufacturing delays. Smalley's Quality Control engineers work closely with the inspection personnel to ensure our raw materials and final products conform to quality requirements.